As part of our commitment to ‘Bespoke Facilities’ we tailor our rooms into four separate age groups: Babies, Toddlers, Juniors and Pre-school. Whilst the rooms will generally follow an age range, children develop at different rates and when deciding which environment is best for them, their age alone will never be a deciding factor. Our baby rooms are small and cosy, providing an environment where close bonds are built between our Practitioners and our youngest children. Each centre has one Baby Room with a capacity of no more than six babies at any one time. Our Baby Suite works in partnership with parents to ensure we understand and cater for each individual baby’s routine. The purpose-built rooms include a separate, adjoining cot room, a milk kitchen and nappy changing facilities. The resources inside the rooms and in the soft surface outdoor play area are designed to support babies’ development. They include provisions for tummy time, mirrors for self-awareness as well as black and white areas to support babies’ developing vision. In addition to their formal qualifications, Practitioners based in the Baby Room also complete our in-house Babies Training. The training, both theoretical and practical, covers the relevant policies and procedures and also ensures a more in depth understanding of how Babies and Toddlers develop and learn. Our Toddler rooms are full of adventure and exploration. With the one adult to every three children Practitioners are always on hand to help with those wobbly legs, messy fingers and curious minds. Our Wolverhampton centre hosts three Toddler rooms (Blue, Green and Yellow) whilst our Codsall centre hosts four (Blue, Green, Yellow and Red). With no more than twelve children in a room (nine in most), these little explorers have everything they need to learn and grow. Each room has a designated changing area, with toileting facilities, as well as access to an outdoor playground. The rooms are filled with exciting resources such as toddle boxes to help support and challenge their walking and climbing skills, ball pits which help support hand-eye co-ordination, as well as cosy dens which give the children time to rest and reflect during a busy day of learning. Our practitioners provide all sorts of fun activities that support children’s learning and development, such as messy and sensory play, food tasting and of course painting. The Toddler rooms are our children’s first introduction into a wider, whole group, routine and meal times and sleep times now follow the same pattern as our Junior and Pre-school rooms. In addition to their formal qualifications, all of our Toddler staff complete our in-house Babies Training. The training, both theoretical and practical, covers the relevant policies and procedures and also ensures a more in depth understanding of how Babies and Toddlers develop and learn. 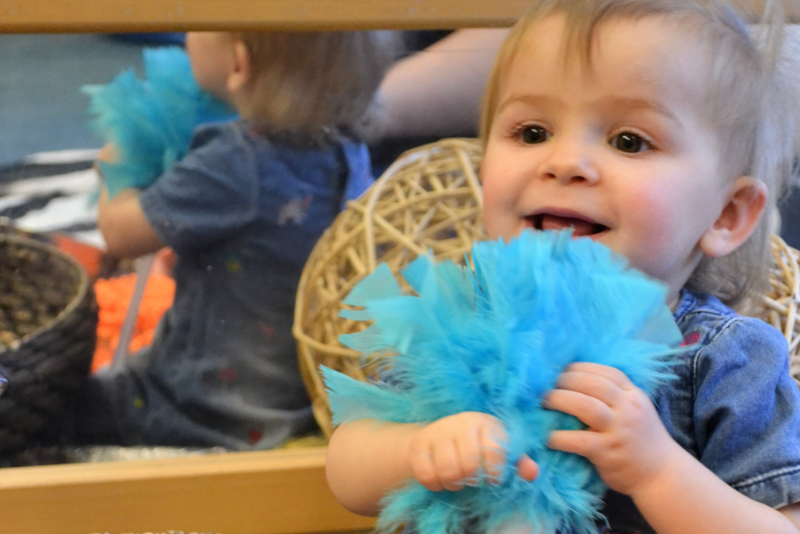 Full of laughter and learning, Juniors are the first of our over 2’s rooms. These rooms are a careful balance between the support and guidance the children need in our toddler rooms, and the greater level of independence we aspire to in our Pre-school rooms. They are the bridge between the care and support provided in Toddlers to the independence of Pre-school. Each centre has three Junior rooms (Red, Blue and Green), catering for a maximum of twelve children in each. With one adult to every four children, our Junior rooms provide a wonderful space for first friendships and new discoveries. Each Junior room has direct access to a bespoke children’s bathroom to assist with their emerging independence. Our bathrooms include nappy changing and potty training facilities and child height toilets and sinks. Our Junior rooms are designed to encourage children’s imaginative play and growing curiosity. 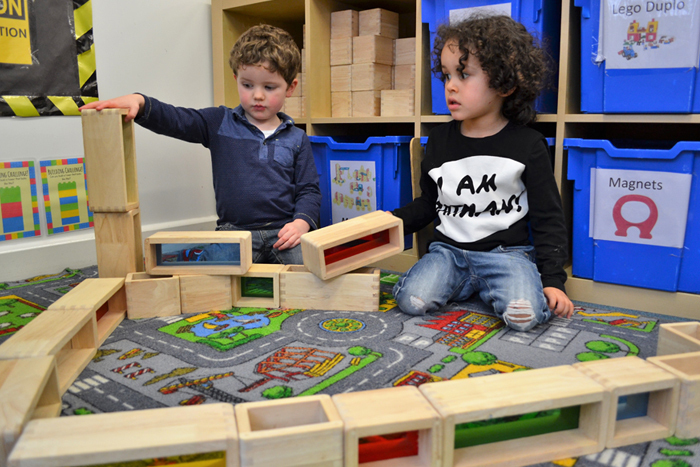 The environment supports many different types of play such as home corners for role play, a variety of cars, people and houses and blocks and bricks for building entire worlds, not just towers. Outside, our Juniors playground is just as exciting with large sandpits, water trays, bikes, balls and scooters to help support children’s learning in an environment that encourages independence. Meal times and sleep times follow the same pattern as our Toddler and Pre-school rooms. Pre-school is exactly what it says on the tin - a carefully planned environment, designed to support children in preparing for school. Each centre has two Pre-school rooms. One large room which can cater for up to thirty-two children and the other for up to sixteen. These rooms reflect a school like environment but, with at least one adult for every eight children, we offer the support of more practitioners. 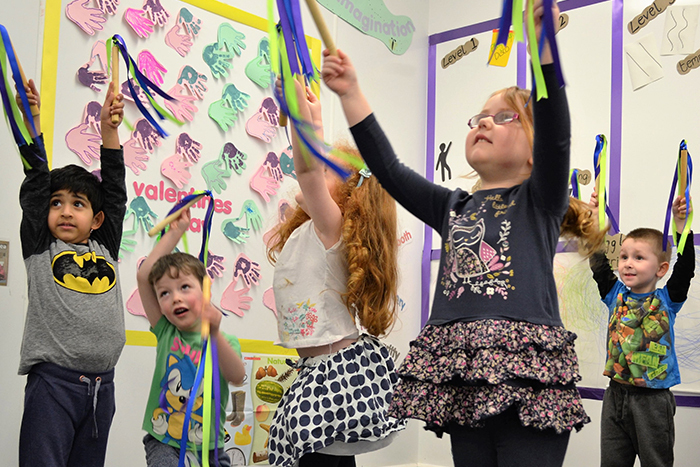 Our Pre-school rooms are specifically designed to accommodate the children’s growing independence. Each child has their own drawer and coat peg to help develop and manage those all-important self-help skills. The rooms are designed to allow independent access to all of our Pre-school resources including paint, dress up, books, construction and role play. The children also have free and unlimited access to their own computer. All of our Pre-school rooms have direct access to bespoke bathrooms with child height toilets, sinks and mirrors. Children learn best when they are interested in what they are doing and our Pre-school day is a delicate balance of child choice and adult led time. Our adult led activities or “Group Times” include our educational programs in numeracy, reading and writing ( Letters and Sounds , ‘Numicon’ and ‘Wriggle Write’) . Group times also reinforce the fundamentals of group learning, such as taking turns to speak and following adult instruction, so when the children move on to reception, they are able to participate effectively. Our Pre-school children also enjoy a ‘free flow’ environment where, for the majority of the day, they move freely between and around the indoor and outdoor learning environments. 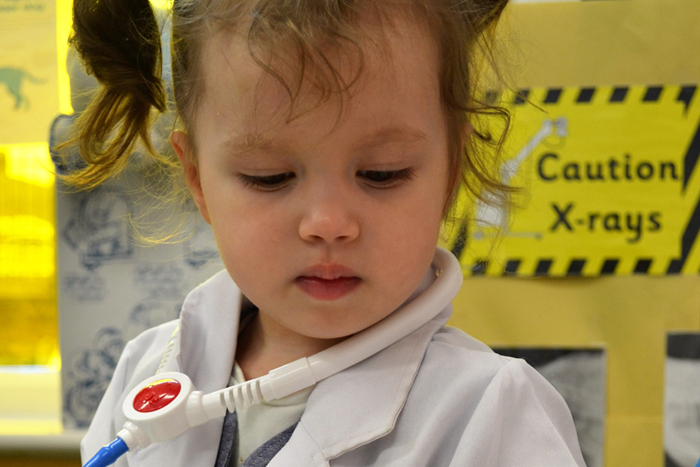 We provide well planned spaces with a variety of resources that allow our children to explore what interests them.